Some houses were built with no wall insulation at all. Others have minimal amounts of insulation that perform poorly at maintaining comfortable interior temperatures. Inadequate wall insulation is a common problem that compromises comfort while also costing families extra money that goes toward heating and cooling. How can you tell how well your walls are insulated, or if they have any insulation at all? Here are a few signs to look for. Cold spots. In the winter, a wall that isn't adequately insulated is likely to have cold spots --areas that are noticeably cold to the touch. Cold air drafts. Poorly insulated walls can't stop frigid air from leaking into the house. It usually leaks into your living space through gaps around electrical outlets and interior trim. Rooms that are too cold or too hot. A room that's uncomfortable even when the rest of the house is at the right temperature often indicates a problem with wall insulation. 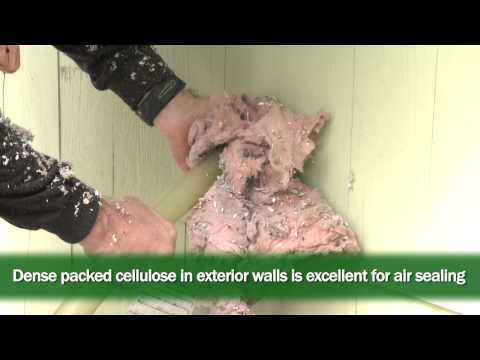 Dr. Energy Saver has the training and tools to diagnose and correct wall insulation problems. Our technicians can use special infrared equipment to produce a thermographic image that shows where insulation is inadequate or entirely absent. If you've got wall insulation problems, don't worry. We have proven solutions based on the most advanced building technology. Here are several options for permanently solving wall insulation problems. Dense-pack cellulose. If the stud cavities in a wood-frame wall have no insulation, we often recommend filling these spaces with dense-pack cellulose. Made from recycled newspaper treated to resist combustion, insects and mold, cellulose insulation offers excellent performance and value. We typically drill access holes through the exterior siding and/or sheathing to blow the cellulose into wall cavities. Holes are later plugged before replacing or restoring the siding. Air Krete foam has the consistency of shaving cream when applied. It quickly flows around old fiberglass insulation, filling each wall cavity to stop air leaks and conductive heat loss. Injection foam. Dr. Energy Saver is the exclusive distributor of Air Krete insulation, an injection foam that's especially well-suited for wall insulation upgrades. Air Krete has the consistency of shaving cream when it's pumped into wall cavities through access holes made in the wall. The foam then flows around under-performing existing insulation, filling each cavity completely to seal out air leaks and provide a thermal barrier with high R-value. Rigid foam for masonry walls. For masonry walls in the basement, crawl space or elsewhere, Dr. Energy Saver can install rigid foam insulation against these walls to dramatically improve energy performance. Our special SilverGlo™ rigid insulation offers excellent R-value. Unlike fiberglass, it isn't damaged by moisture and won't attract mold. Contact us today for a Free Estimate on energy conservation and wall insulation in Connecticut, including Norwalk, Danbury, Stamford, Greenwich, New Haven, Hartford, Westport, Darien, New Canaan, West Hartford, Ridgefield, Hamden, Cheshire, Milford, Trumbull, Shelton, Bridgeport, Waterbury, New Britain, Bristol, Meriden, Glastonbury, Monroe, Stratford and everywhere in between. It won’t cost you a dime to schedule a home insulation assessment. If we discover that you’re wasting energy because of inadequate wall insulation, we’ll recommend specific insulation and air-sealing upgrades and provide a Free Estimate to perform the work. Our installation technicians aren’t subcontractors; they’re trained and certified at our corporate headquarters in Seymour, CT. You can be sure that you’ve got the right insulation installed in the right way. And remember: Insulation and air-sealing upgrades are “once-and-done” improvements that require no maintenance, upkeep or replacement. As soon as you make this investment in energy savings, it will continue to pay off for as long as you own your home. Call 1-855-201-5406 or contact us online to schedule a free home inspection and insulation estimate. 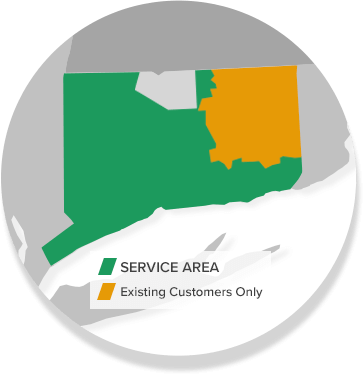 Dr. Energy Saver Of Connecticut serves Stamford, Norwalk, Hartford, New Haven, Danbury, Greenwich, Westport, Darien, New Canaan, West Hartford, Ridgefield, Hamden, Milford, Trumbull, Stratford, Cheshire, Bridgeport, Waterbury, New Britain, Bristol, Meriden, Glastonbury, Monroe, Shelton and surrounding areas.